As many of our customers have been asking about the potential risks of Avian flu, we thought we should both state our view and offer some advice. To date, 76 people have died due to bird flu, all of these were in Asia, worked closely with poultry and already had compromised immune systems; the birds in question were kept in unnatural, unhealthy conditions - yet another a man made disease; the real focus should be on raising the standards for animal welfare worldwide. It is important to monitor the development of bird flu, but the virus cannot currently be transmitted human to human and the probability of this happening is very small. There are millions of viruses in the world around us, yet pandemics only occur every 30 or 40 years, it is clear that the incidence of any virus becoming transmittable between humans is unusual. If the virus does mutate, a vaccine would not on the whole be effective, rather, age old methods of isolation would need to be employed. Pharmaceutical companies stand to make hundreds of millions of pounds through the sale of "vaccines", only yesterday (18/10/2005) a well known pharmaceutical company proudly broadcast their plans to construct a new factory within 3 months with the sole purpose of manufacturing a bird flu vaccine. Avoid scare-mongering pieces on the TV and in newspapers! 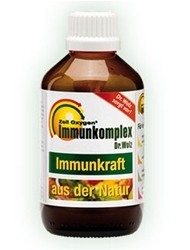 Zell Oxygen / Immunocomplex is a tonic to the entire organism that keeps the immune system strong and helps to fight any infection. During acute infections, we advise up to 4 dessertspoonfuls, 3 times a day, normal maintenance does is 1 or 2 dessertspoons a day. 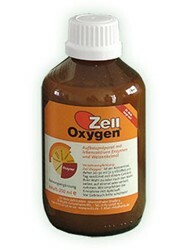 Zell also serves to detoxify any waste products released by "bugs". Zell is rich in all B Vitamins as well as A, E, D, K, beta carotene, minerals, trace elements, and amino acids such as Methione, Gluthathione and Cysteine. Followed by Co enzyme A and Co enzyme Q 10 plus a number of other enzymes. The tremendous effectiveness of Zell-Oxygen / Immunocomplex is partly due to the fact that all these nutrients are incorporated into a living yeast cell. Sodium Ascorbate - the people exposed to Avian Flu in China who subsequently died, suffered a rapid depletion of ascorbate (Vitamin C); this causes a collapse of the arterial blood supply causing internal haemorrhaging of the lungs and sinus. Many people already have insufficient vitamin C in their bodies, and if bird flu were to mutate, this would be a critical factor. Sodium Ascorbate then would be a key natural remedy. 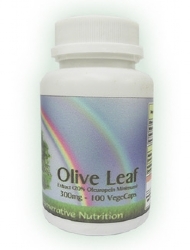 Olive Leaf Extract - scientific research has shown that the active ingredient in olive leaf extract, oleuropein, has powerful healing properties that fights the bacteria, viruses, fungi and parasites that cause infection and disease. 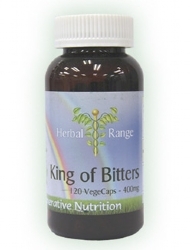 Colloidal Silver - broad spectrum anti-viral remedy. Colloidal silver is one of the oldest remedies in the World and can be traced as far back as the ancient Greek and Roman Empires. It is thought to kill an average of 650 different organisms - compared to the 6 of a standard antibiotic. 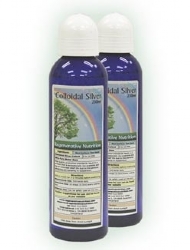 With many organisms now resistant to antibiotic therapy and the negative side effects of antibiotic use, more and more people are turning to Colloidal Silver to treat a range of infections in a natural balanced way. Oxyboost - appears to inhibit the growth or to reduce the colony count of the following general categories of anaerobic (non-air tolerant) organisms - bacteria, virus, yeasts, moulds, fungi and parasites. Tests conducted at several of the largest and most respected independent testing labs in the U.S. have demonstrated Oxy-Boost antimicrobial properties on E-Coli (0-157), Salmonella, Candida, Pseudomonas, Aspergillus and staphylococcus. Oxysorb complemements Zell Oxygen in delivering more oxygen to the cells, an all-natural sublingual liquid extract of Norwegian Kelp. It is the only enzyme available that enhances respiratory oxygen and allows the body to actually extract a higher percentage of oxygen from the air we breathe. It also helps the body to eliminate waste gases more efficiently, allowing the haemoglobin to load up with more oxygen from the air we’re breathing with every breath. The supplements recommended for the treatment of Bird Flu are listed below. Not all will necessarily be discussed in the article, as some may have been added after the article was posted. If a listed supplement is not mentioned within the article, or you wish to know more about any of the listed supplements, you can find out more information by clicking on that supplement below. You can also now add to your basket directly from this page.